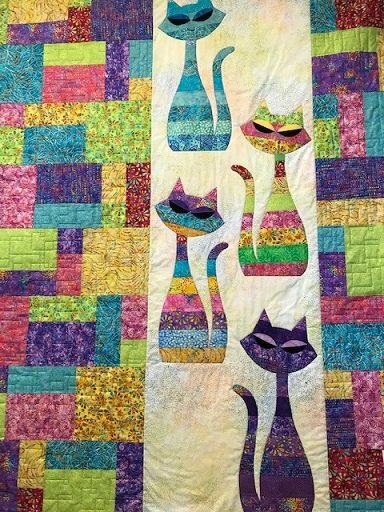 What a bright happy lap sized quilt, that will make everyone smile! The pattern has full sized applique pattern and detailed instructions. Finishes to 53" x 64"
Kit includes everything to complete the top and binding.